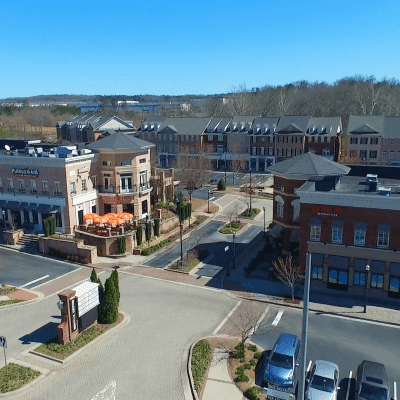 On the southern shores of Lake Lanier, the city of Buford is about 25 miles north of Atlanta and located in Gwinnett County. Buford is not only home to the Buford Dam, which is a major source of power for the state, but it also operates its own school district. Buford was named after the president of the Atlanta and Richmond Air-Line Railway, Algernon Sidney Buford in 1865. It was widely known for its leather production in the late 1800s and was nicknamed “The Leather City.” A tannery was built downtown and leather goods were produced for use in saddles, horse collars, bridles, and shoes. The industry continued to thrive until 1981 when a fire destroyed the tannery and it closed down. The Lanier Islands Resort is a 1,500-acre scenic area along the shores of Lake Lanier that hosts families, couples, and group events. Lanier Islands has a beautiful golf course, luxurious spa, and delicious dining options. Guests can book overnight trips or take part in daily activities like zip lining or hiking.